Flint and Steel is used to ignite a flammable object. 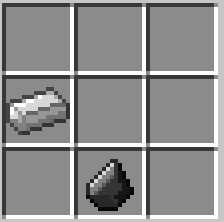 This can be used on both mobs and blocks. Flint and Steel also activates Nether Portals.